Who's Cool is a long necked, deep ribbed, free moving version of his sire. Who's Cool will work well on Simmental influenced females, such as Steel Force and Dream On daughters. 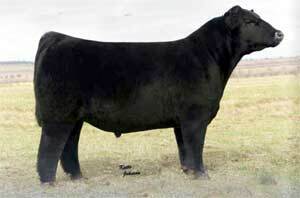 He will also cross well on Heat Wave daughters.